Religion and science have often been at odds. In particular, Christianity and psychology have not always gotten along. Some Christians are still suspicious of psychological findings. But researcher Everett argues that Christians can know people better—and even know God better—through psychological science. 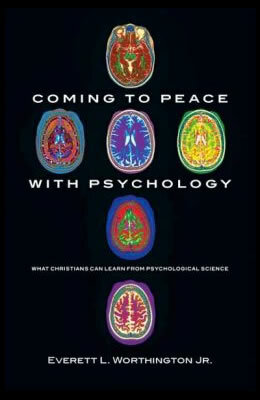 Everett suggests that the relationship between psychological science and Christianity is less like a war or mere dialogue and more like an emerging marriage. In this relational model of psychology and Christianity, there may be marital spats at times but also great potential for an intimate, mutually fulfilling relationship. Everett demonstrates how the tools of experimental psychology shed light on human nature and the nature of God. Because people bear the image of God, the findings of psychological science help us understand both people and God more clearly. Psychological science provides new perspectives on theology and can help us address theological controversies and hot topics. Everett gives recent examples of illuminating psychological findings, examines the distortions of the image of God through the effects of sin, and points to ways that psychology assists Christians in living more virtuously. Psychology can contribute to the Christian life because all of us, psychologists and non-psychologists alike, are human and can benefit from better understanding our fellow humankind. Beyond integrating Christian and psychological truths, this book uncovers new relationships between science and religion, demonstrates psychology’s benefits to theology, and helps Christians live a redeemed life that is pleasing to God.